We are extremely concerned by the continued attacks and other forms of aggression targeting members of the Peasant Farmers Association of Catatumbo (Asociación Campesina del Catatumbo, ASCAMCAT) in the Catatumbo region of northeast Colombia. We offer our unconditional support and solidarity to ASCAMCAT at this difficult time of violation of their rights. In August this year, a delegation of the Justice for Colombia Peace Monitor visited the Catatumbo region to meet with ASCAMCAT members and communities. We saw firsthand how communities struggle to improve conditions to decent standards and we observed the needs of agricultural communities in terms of social attention, infrastructure and services, all of which are scarce and keep the region mired in poverty. Even more alarmingly, we were worried to hear testimonies about the high levels of violence people and social organisations face on a regular basis in the Catatumbo region. We met Olger Pérez, whose brother Álvaro was murdered in April this year, and who himself survived an attack not long before our visit. We met Jhunior Maldonado, who recently was abducted and threatened by unknown assailants before being released. We also met many other ASCAMCAT members whose lives are at risk merely for their efforts to improve social conditions, exercise their democratic rights as Colombian citizens and for being defenders of the peace process. In addition, we heard about the more than 30 members of the COCCAM coca farmers organisation murdered since the peace agreement was signed in November 2016. Several of the victims were leaders promoting the voluntary substitution of illicit crops, a core element of the peace agreement and something which has not been implemented properly. Since our visit, Olger and Jhunior both continue to be threatened, along with their colleagues Orangel Galvis, Juan Quintero Sierra, Olga Quintero Sierra, María Carvajal, Guillermo Quintero Sierra, Holmer Pérez, Johny April Salcedo, Wilder Mora Acosta, Wilder Franco and Elizabeth Pabón Guerrero. The threats against ASCAMCAT members make it difficult for them to conduct their work in defence of communities and to support implementation of the peace agreement. 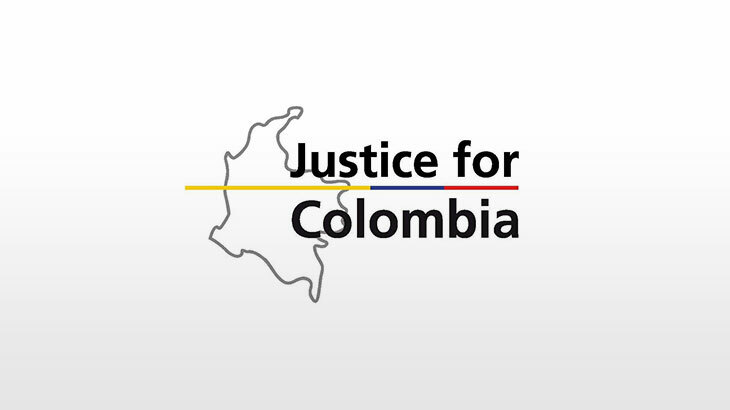 It is fundamental that the Colombian government, supported by the international community, takes the necessary steps to guarantee security for those people working to implement the peace agreement, particularly around voluntary substitution of illicit crops. We also reiterate our hope, as expressed in our earlier statement, that the new government of Iván Duque will continue the previous administration’s path towards a stable and lasting peace.